Whenever we are searching for a specific grave marker, we become excited when we finally find it. 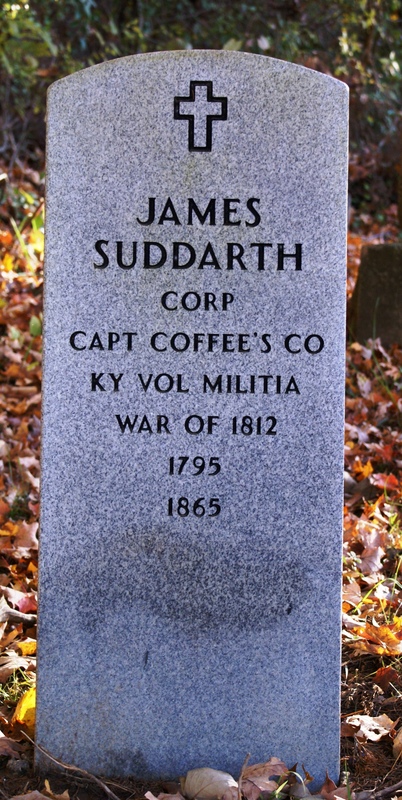 Here is a photo of the marker for James Suddarth. 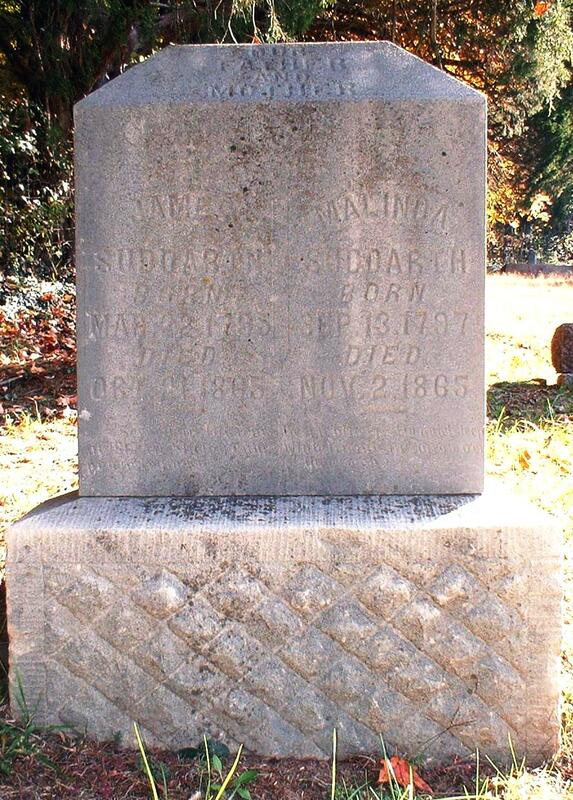 From this marker, I learn that James was born in 1795 and died 1865. He was also a Corporal in Captain Coffee’s Company of the Kentucky Volunteer Militia during the War of 1812. This is all great information to have if I am researching this line in my genealogy. However, if I had just stopped there, I would have missed some important information. To the left and a little further back in the cemetery is another grave marker for James Suddarth. This is the original grave marker. Although worn, it is possible to read (my apologies for the bad photo – it is easier to read in person). Here, we see that there is more information on the old stone than what was put onto the new stone. The biggest item is the fact that the old stone was not just for James, but also for Malinda Suddarth, his wife. In addition, instead of just the year of birth and death, the old stone has the actual month and day for each. There is also an inscription below the birth and death information. This inscription is extremely hard to read (and cannot be read in the photo). It tells us that James was a volunteer in Jesse Coffee’s company during the War of 1812, information which has been put on the new marker. It’s nice when tombstones list parents like that. I especially like it when maiden names are included. I have chosen you for the “One Lovely Blog Award!” You can pick up your award by visiting my blog “The Sum of All My Research” at http://debsresearch.blogspot.com/2011/04/one-lovely-blog-lil-o-me.html for your badge and acceptance rules and Keep up the great Blogging!